During the first part of the session we analyzed the board game Mastermind, after having them play the game in the last session. We began by looking at how to begin breaking the code — and why — and then moved on to attempt to determine the total number of possible codes; the details of what I did and why you can find in the blog post Modelling…Without the Catwalk. The points I was trying to get across were about patterns in the number of possible codes and deducing a mathematical formula to capture that, all through a reductive process. Of course, one of the many things science does is study processes, events, and behaviors etc. 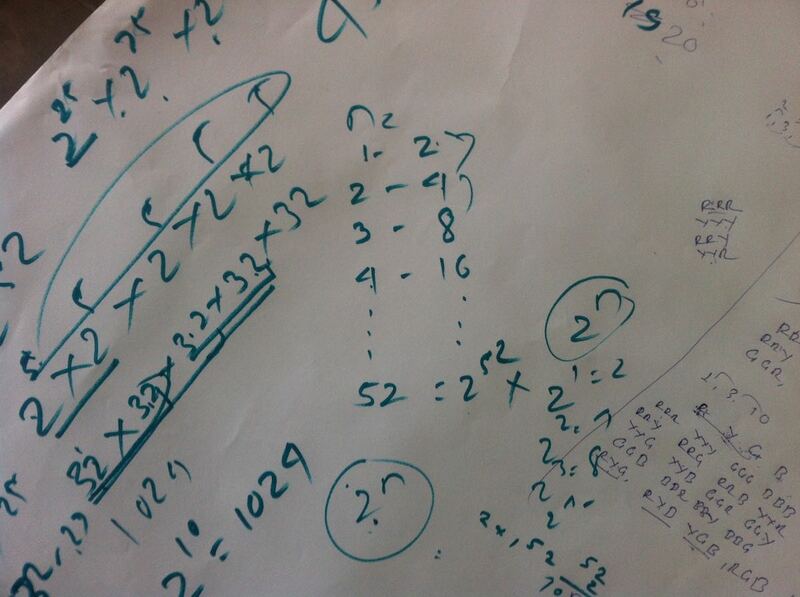 to discern patterns, if any, in an attempt to model them mathematically! In the second part of the session, I had them attempt problems of scientific nature to show them how they can teach and reinforce critical thinking skills. 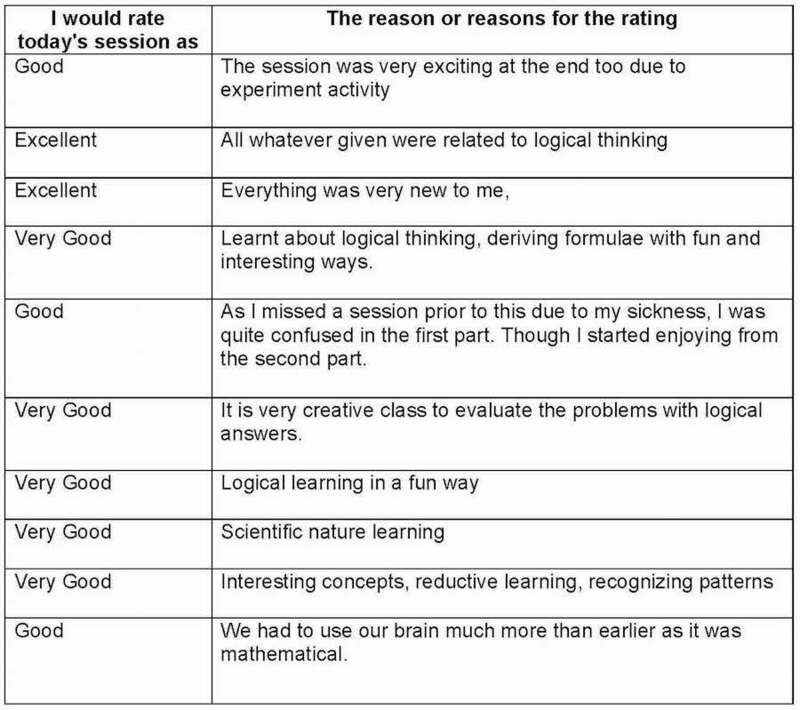 I had them go through the process I had taught them at the session on Everyday Science: Lesson Planning and Imparting Critical Thinking Skills. The second one was based on the video of a demonstration I had performed for my students in Baku, Azerbaijan. Here it is. They were to make careful observations of the demonstration and take notes. One thing that wasn’t clear from the video was that the third explosion was the loudest, though it didn’t sound like it because it was conducted outside! And here’s the problem as presented to them. Of course, I have used this video as a stimulus in the past. 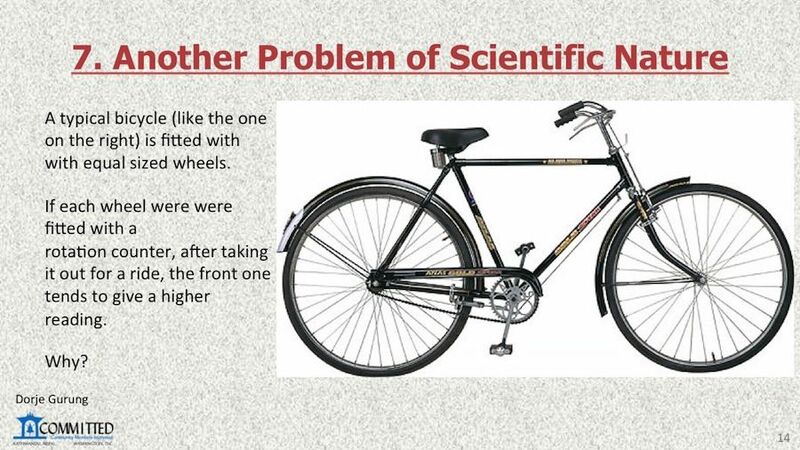 Click here to go to the blog post where it is the stimulus for a MYP Year 4 problem. Click here to go to the blog where it is the stimulus for a IB Diploma Chemistry problem, which is considerably more involved and extensive. Then I had them attempt the following. Do you think that the pile would be more or less than 20 km high? Lakes and rivers in very area freeze in winter and are covered by ice and snow. However, when spring comes along and all the snow and ice melt, aquatic life in them, fish etc., appear to be still alive underneath. How? Why? Explain in paragraph format. Hold out your palm about 12 cm in front of your mouth. Blow on it with your mouth wide open. Make a note of how that feels on the surface of your palm. (It should feel warm.) Now, purse your lips and do the same. This time, the air hitting your palm should feel cool. And the question is: Why is that? Again, none of the above enrichment activities are new. I have had my students attempt them in the past. As a matter of fact, they all appear on my Science Blog. Attempting the second activity, some of the participant were quick to notice a pattern in the process and figured out the formula pretty quickly. (Hint: see image at the top!) Did you get it? 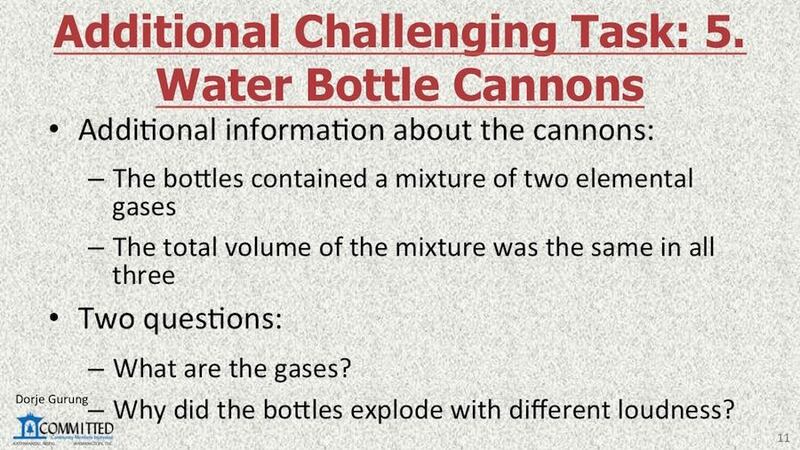 Lessons or tasks involving challenging problems such as these force students to think. Essentially, they have to first identify the important concepts involved based on their observations or information or data provided (i.e. analyze the problem); decide how they are related to one another and how they come together to form part of the explanation of the problem or phenomenon (i.e. apply concepts and understanding and create/synthesize an explanation); then once they have answered the question, or provided a solution to the problem, describe how good the explanation is or the range of conditions under which the explanation is valid and under which the explanation NOT valid (i.e. evaluate). Once again, I had them provide anonymous reflections. 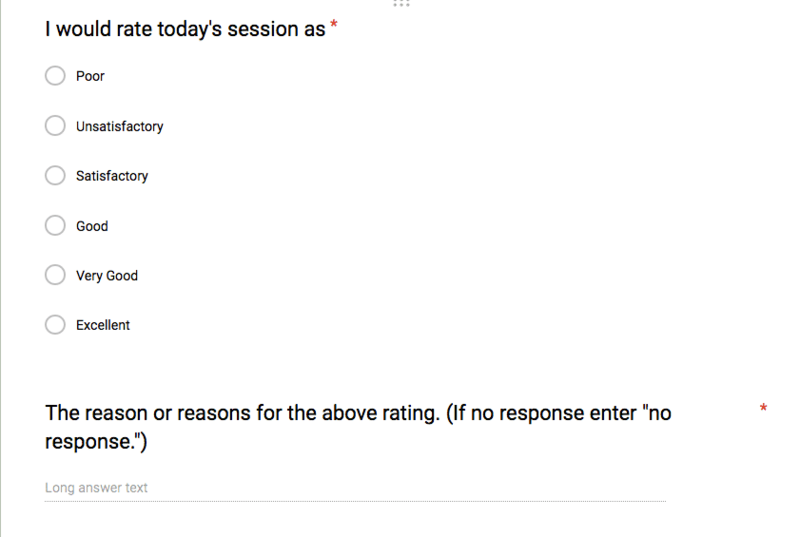 One of the first questions in the sheet asks them to rate the session and provide a reason(s) for the rating.